Have I mentioned that I love, love, love The Legend of Heroes: Trails of Cold Steel before? Oh wait, of course I mentioned it: the 9.5 score I gave it last December is the second-highest I’ve ever given a game in my time at PSLS (if you’re curious, the highest honors went to this year’s almost incomprehensibly fabulous Overwatch). I thought that game evoked the second “Golden Age” of Japanese role-playing games — most of which were found on PlayStation 2 — in all the best ways, and seemed to take many of its cues from critical darling and fan-favorite Persona. And if you’re going to take cues from another JRPG in the current era, come on, it’s gotta be that one. So what’s next for the trilogy, which is currently in the process of being localized for the pleasure of Western players? Well, now that I’ve gotten my hands on a preview build of the game at E3, I’m happy to report that everything I loved about the original seems to still be in place. Like I said in that review, while it’s possible Cold Steel borrowed some of its inspiration from Atlus’ wildly popular franchise, it stands on its own as more than just a mere imitation. A lot of that appeal has to do with XSEED’s superior localization, which transformed what could have come off as tropey and/or archetypal color-coded magical student nonsense into a much more mature, funny and fascinating story about the harsh realities of war. I actually had the pleasure of playing the demo under the guidance of Nick Colucci, who served as one of the editors on the first game, and was apparently responsible for the majority (if not all) of my favorite character’s dialogue (the oft-drunk, bizarre, Ms. Frizzle-esque teacher Sara Valestin, if you must know). 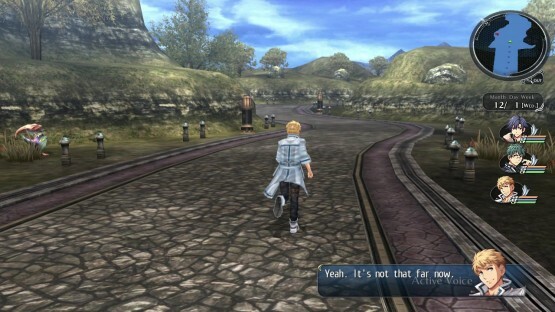 While his involvement on the sequel is limited, he made sure to mention that its dialogue is in good hands, and that was definitely clear to me when I wandered from the field into one of the game’s towns. Just like the first game, there are rarely any conversations as throwaway as you’d expect to find in other JRPGs of the same caliber. Even talking to the dude sweeping the floor can result in a pretty funny and/or enlightening conversation, and as Colucci pointed out to me, coming back to that guy later will yield different dialogue based on the events of the story and such — and while I know text isn’t everyone’s thing, for people like me, that helps the world feel that much more alive. So I’ll stop torturing you with all this text talk. How does the actual gameplay work, and what’s different this time around? Well, most of what I experienced — particularly in the exploration and combat areas — was extremely similar to the first game. You’ve got your turn-based battles with all sorts of special moves and party alliance bonuses, and you’ve got the opportunity to participate in quests and “bonding events” that can net you rewards and better relationships with your party members. The similarities to the original aren’t bad in the slightest, at least as far as I’m concerned. This is looking like it’ll be just more of that great material, and keeping things consistent for players moving over from the first iteration is always nice. And speaking of consistency, Colucci told me that there will be some sort of significant level bonus for players who transfer their save data to the new game. It won’t carry over completely, he said, but it will put you far ahead of the curve — and maybe prevent you from wondering how your characters fell out of shape so quickly in between games. The most striking difference, of course, between this game and the original is the lack of time spent at the academy. Now that the war’s a-ragin’, protagonist Rean and friends are ready to put their education to use and hopefully bring peace back to the realm. 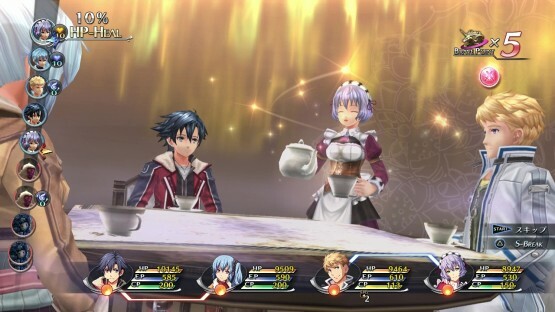 So while your schooling activities were punctuated by field missions to other parts of the world in the first game, you’ll be spending the majority of time in Trails of Cold Steel II trying to repair relations in lands abroad. The more-frequent changes of scenery brought about by the group’s globetrotting should be a welcome change for many players — and since the gang’s all together this time around, you’re free to create your own custom party and bond with whichever characters you hold dearest. Colucci also told me that, overall, the stringent time limits and restrictions on certain requests (which made the game difficult to 100% without a walkthrough) have been eased up a bit, so it seems like players should be able to relax and enjoy the company of Rean’s wacky buds a bit more. I’m more than ready to go back and feel the steel, and if you’re in that same boat, the best part is that we don’t have long at all to wait. 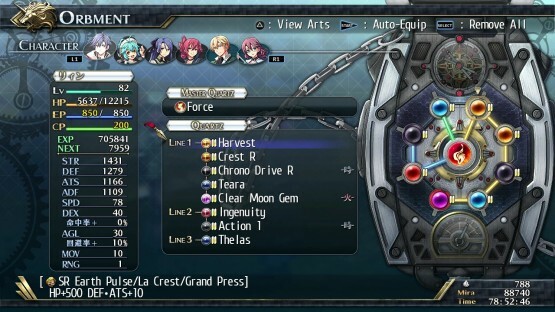 XSEED will be releasing The Legend of Heroes: Trails of Cold Steel II this fall.